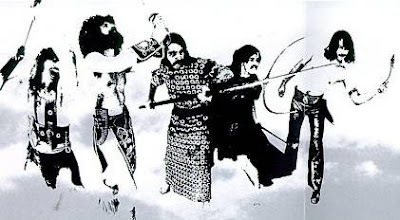 “7” differed from previous Steppenwolf releases in that lead guitarist Larry Byrom received more writing credits than any other member, being involved in seven of the album’s nine tracks, John Kay being credited on six tracks, with one of the LP’s tracks, the instrumental, “Earschplittenloudenboomer” being credited to their entire band. 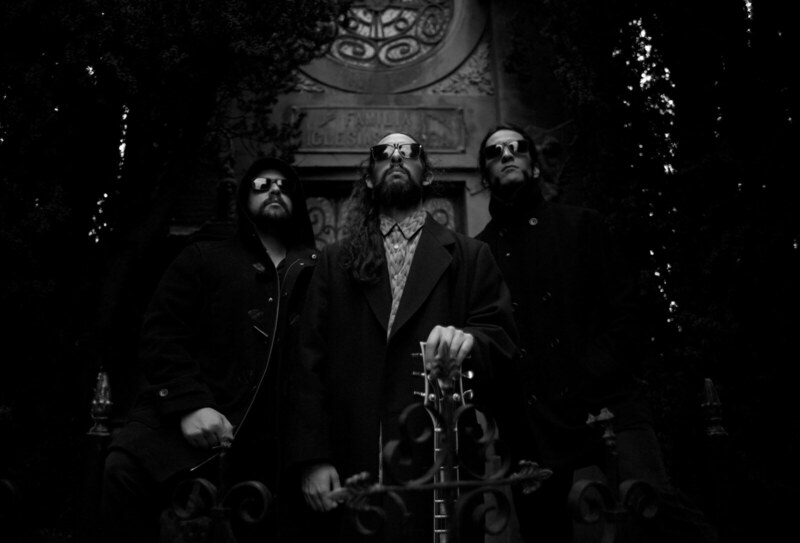 Furthermore, the biting social commentary of the group’s previous studio effort “Monster” was, for the most part, gone, replaced by more traditional hard rock tunes. However, two tracks “Foggy Mountain Breakdown” and “Hippo Stomp” were rather mellow in nature, giving listeners a hint as to the vibe found on Kay’s two post-Steppenwolf ABC/Dunhill albums, “Forgotten Songs & Unsung Heroes” (1972) and “My Sportin’ Life” (1973). Side two opens with the relaxed “Foggy Mental Breakdown” a four minute, instrumentally dominated tune. 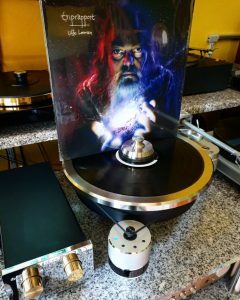 Accessible and even somewhat commercial, the track features restrained performances by Byrom, McJohn, Biondo and Edmonton, with Kay’s harp solo giving the track sonic texture, aided by gorgeous vocal harmonies. The other highlight of “7” is the band’s cover of Hoyt Axton’s incredibly accurate depiction of cocaine addiction and the ability of the drug to steal the very soul of the user. There is nary a word wasted among Axton’s lyrics. The song’s opening laments a situation repeated thousands of times over, and all too real to Hoyt, the tune’s inspiration being the death of his band’s lead guitarist to a cocaine overdose. His words are absolutely haunting “you say it was this morning when you last saw your good friend, lyin’ on the pavement with a misery on his brain” followed by the source of the friend’s plight, “stoned on some new potion he found upon the wall of some ungodly bathroom in some ungodly hall.” Axton pulls no punches as he relays his words of futility, “he only had a dollar to live on ‘til next Monday, but he spent it on comfort for his mind, did you say you think he’s blind?” The insidiousness of the drug and its grip on the user have never been conveyed so accurately and poignantly as Axton posits, “he said he wanted heaven, but prayin’ was too slow, so he bought a one way ticket on an airline made of snow, did you say you saw your good friend flyin’ low?, flyin’ low, dyin’ slow.” The hopelessness of the situation, repeated time and time again, is brought to life so incredibly, “someone should call his parents, a sister or a brother,, and they’d come to take him back home on a bus, but he’ll always be a problem to his poor and puzzled mother, and he’ll always be another one of us,” Axton’s subtle way of letting the listener know that he is not writing from mere observance, but rather from first hand experience. “Snowblind Friend” peaked at #60 on the charts in 1971 when released as a single, its b-side, Hippo Stomp” another track from “7.” The a-side of the album’s first single, is the three minute rocker “Who Needs Ya” with its heavy guitar intro by Byrom, who revs the tune up, Biondo and Edmonton settling into a heavy groove. 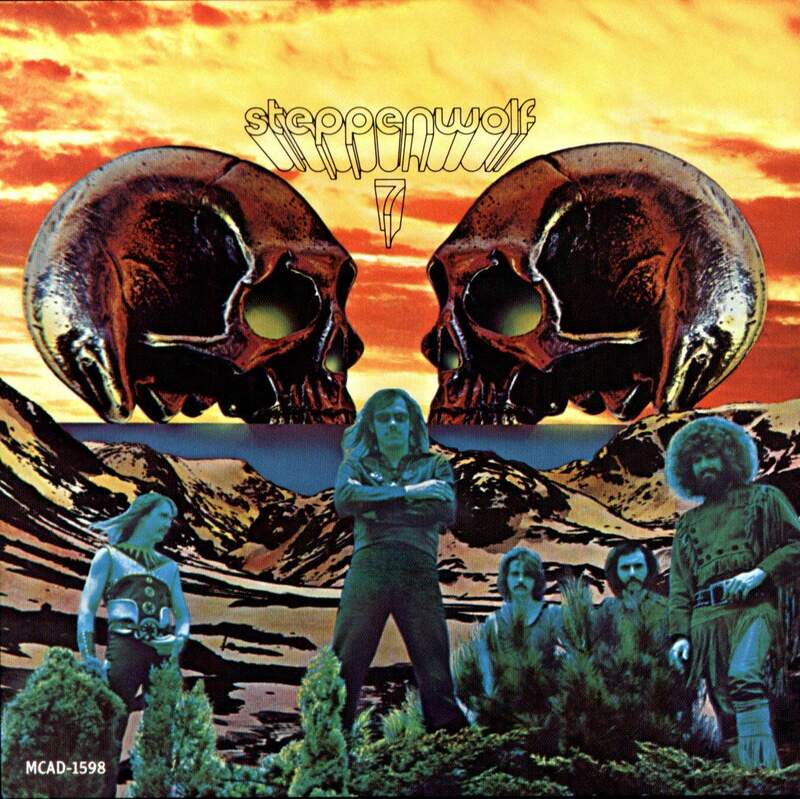 Featuring gorgeous vocal harmonies, this is Steppenwolf at their rocking best. A great mixture of accessible rock with a commercial hook, and piano added by McJohn to add to its appeal, how the single stalled at #54 on the tracks is a mystery to me. All the elements are there, so it apparently shows the fickle nature of record buyers. 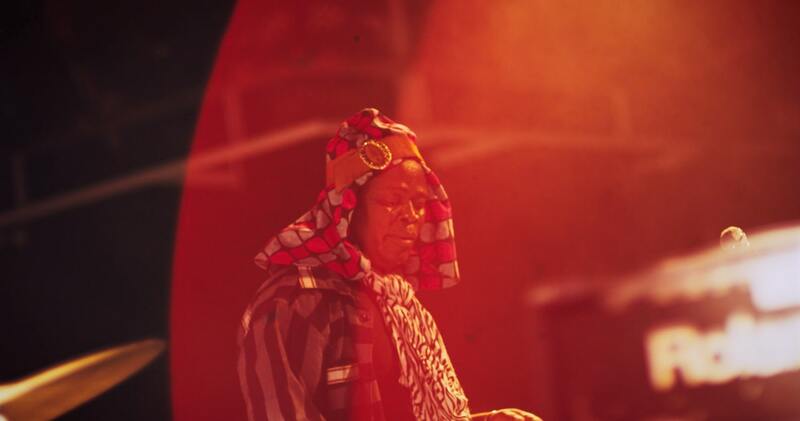 The single’s b-side is an edit of “Earschplittenloudenboomer” a five minute track that follows on the LP. The song, despite its title, features acoustic guitar, piano, and a restrained bottom end from Biondo and Edmonton. 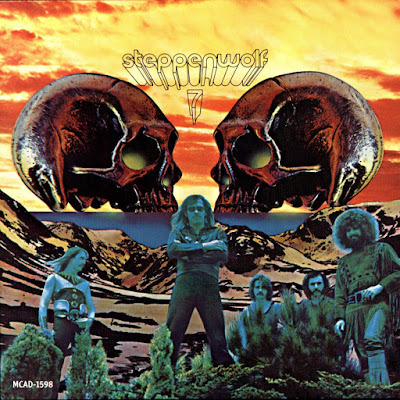 A gorgeous instrumental that displays the softer side of Steppenwolf, Edmonton adds some tasteful percussion and the tune even includes a horn section, a real rarity in the band’s catalog. “7” closes with another rather gentle, feel good rocker, the Kay/Byrom composition “Hippo Stomp.” The tune features a fine mouth harp performance by Kay and sets the stage for the tone of the band’s eighth and final ABC/Dunhill LP “For Ladies Only” although the subject matter of that album differs rather drastically, but that is the subject for the eighth and final chapter of The Steppenwolf Story which will appear on these pages soon. Excellent review, Steppenwolfs last great album, as far as I am concerned. Thank you for the kind words Tom. I like "For Ladies Only" as well, but a lot of people agree with you that "7" was their last great album. I enjoyed writing the review greatly, glad you enjoyed reading it. Wow Jobe, what a huge compliment. I hope "For Ladies Only" pleases you as much. Your words are greatly appreciated.